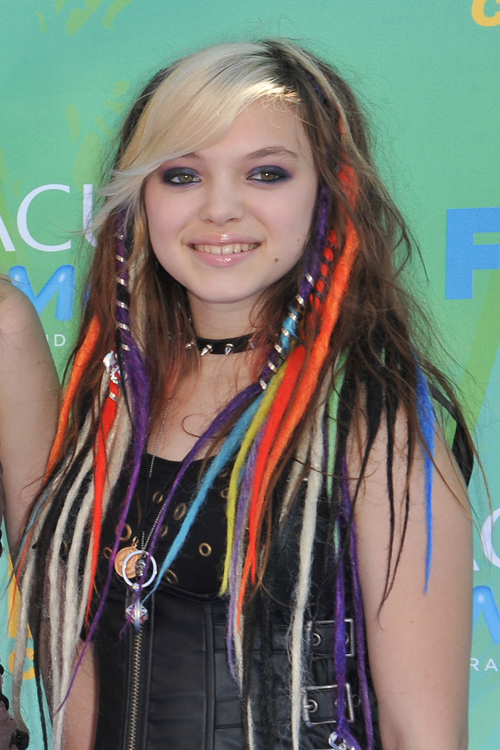 Rena Lovelis wore brightly colored dreadlocks at the 2011 Teen Choice Awards in Hollywood on August 7, 2011. 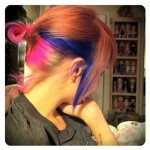 Her own hair is light brown with blonde bangs and she has dreaded extensions in many colors including orange, purple, blonde, black and blue. Silver spirals are wrapped around four of her dreads.